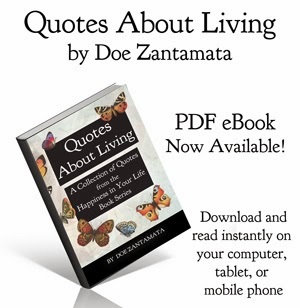 Doe Zantamata Quotes: Try again. 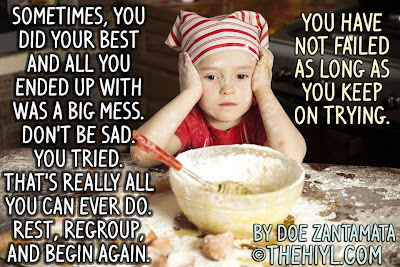 Sometimes, you did your best, and all you ended up with was a big mess. Don't be sad. You tried. That's really all you can ever do. 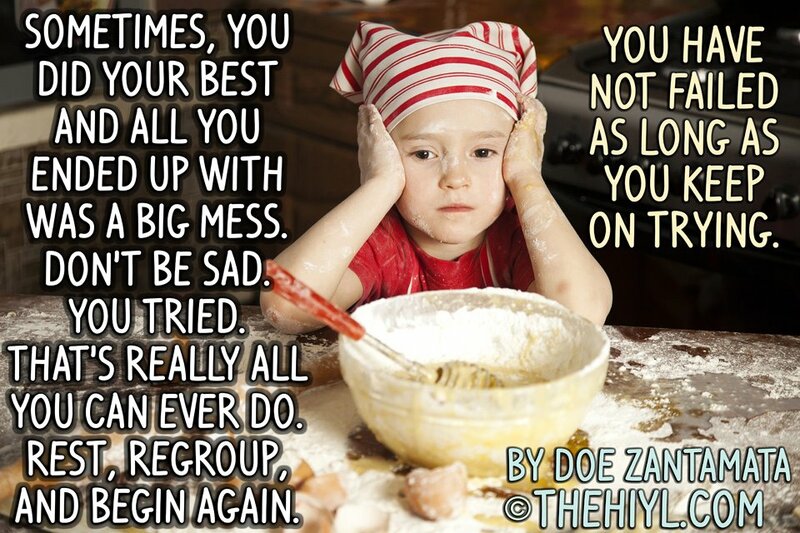 Rest, regroup, and begin again. You have not failed as long as you keep on trying.